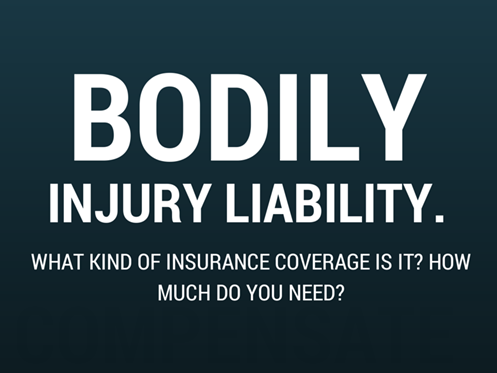 What is Bodily Injury Liability Insurance? How Much Coverage Do I Need? This coverage is mandatory in Arizona. Liability coverage protects all injured persons (occupants of your vehicle, other vehicles, bicyclists, pedestrians, etc.) if YOU are at-fault or the driver of your car is at-fault for an accident (generally, anyone driving your car with your permission is also covered by your liability insurance). If this coverage is inadequate to compensate an injured person, the injured person could conceivably seek to collect against the driver’s personal assets. Therefore, you want the best coverage possible you can reasonably afford. The minimum amount of coverage that Arizona requires in this category is a 15/30 policy, which means no one person/claimant can receive more than $15,000 and no more than $30,000 is available per accident, no matter how many claimants there might be. This type of coverage can usually be increased in set increments, such as 25/50, 50/100, 100/300, etc. Many carriers also offer a $1,000,000.00 “umbrella” coverage that would cover losses above a maximum BI coverage. Umbrella policies usually require the highest level of BI coverage. How much do you need? That is the important question. If you pay for insurance and never need it, then other than providing you “peace of mind”, it just costs more.In deciding how much you should have, sit down with your insurance agent or your attorney. Discuss your income and discuss your assets. How much can you afford? How much insurance should you and your family have to protect you against an accident and a financial catastrophe? These things need to be discussed and planned in advance. Once an accident occurs, it is too late. Download our FREE E-book. It goes over ALL Insurance coverage's that you would need to be covered full covered in case of an accident.